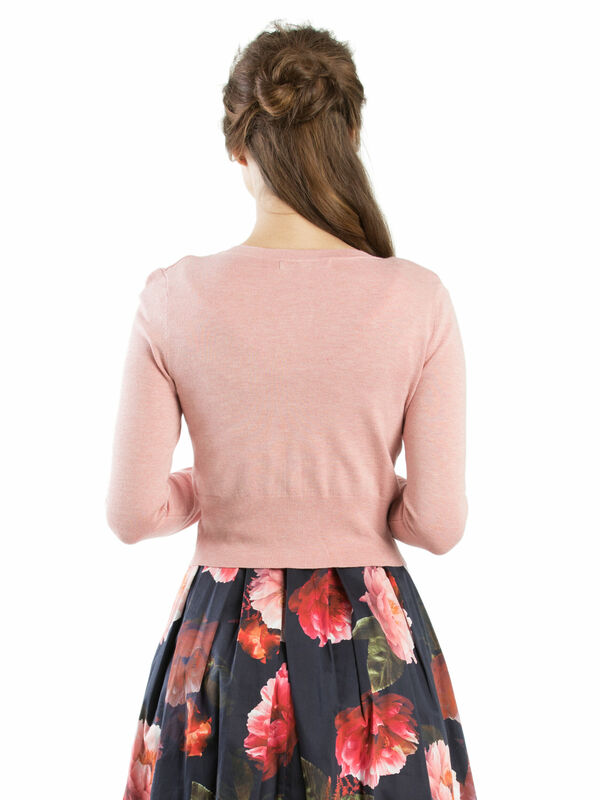 Chessie Long Sleeve Cardi https://www.review-australia.com/au/chessie-long-sleeve-cardi-salmon/RE18KW098.REPNK116.html Slim-fitting and cropped in Salmon Marle, the Chessie Cardi will brighten up the coolest of winter days. It's crafted from a soft stretch viscose blend fabric that makes a perfect outer layer over shirts or dresses. The fitted button-down style features a textured spot trim and pearlescent buttons. Slim-fitting and cropped in Salmon Marle, the Chessie Cardi will brighten up the coolest of winter days. It's crafted from a soft stretch viscose blend fabric that makes a perfect outer layer over shirts or dresses. The fitted button-down style features a textured spot trim and pearlescent buttons. Chessie Long Sleeve Cardi is rated 4.8 out of 5 by 58. Rated 5 out of 5 by Tash13 from The perfect cropped cardi Well, this is my 14th long sleeve cropped cardi from Review (a mix of the old Bella’s and Chessie) so I think that says it all! Despite having some for many years, none of them have even begun to show signs of wear - though I should say, I wear a uniform for work so these are only worn on days off but they all still look virtually brand new. These cardi’s are perfect for my high waisted skirts and dresses, and hit me at the right spot despite my long torso. I’ll continue buying these as long as you continue making a variety of colours, and please, can you make a grey long sleeved cropped Chessie? I already have a 3/4 sleeve cropped and a long line cardi in grey and they go with everything. Rated 3 out of 5 by Jasmina from I simply love the colour Size runs a little small, so might need to size up especially if you’re bigger busted. I love the cropped length and the vibrant colour but buy a lint shaver, they do pill, I’d give it 4.5 stars, chessies go so well with the Review dresses and skirts but marked it down for the pilling. I’m going to recommend this product but only when it’s discounted. Rated 5 out of 5 by Jodi from Fantastic New Colour - Same beautiful Chessie Fit This is not my first Chessie cardi. I love the fit and sizing and quality. The knit is soft on the skin but holds up well to wear (a couple of mine are now 2-3 years old and still in good condition). I adore this new colour it is vibrant and elegant and perfect with the Orion Spot Dress. Rated 5 out of 5 by AnnaMD from A year round favourite My review cardigans are my favourite pieces because they are the perfect complement to every outfit all year round. With colours to cheer every heart they offer warmth in winter and protect you from the office chills in summer. 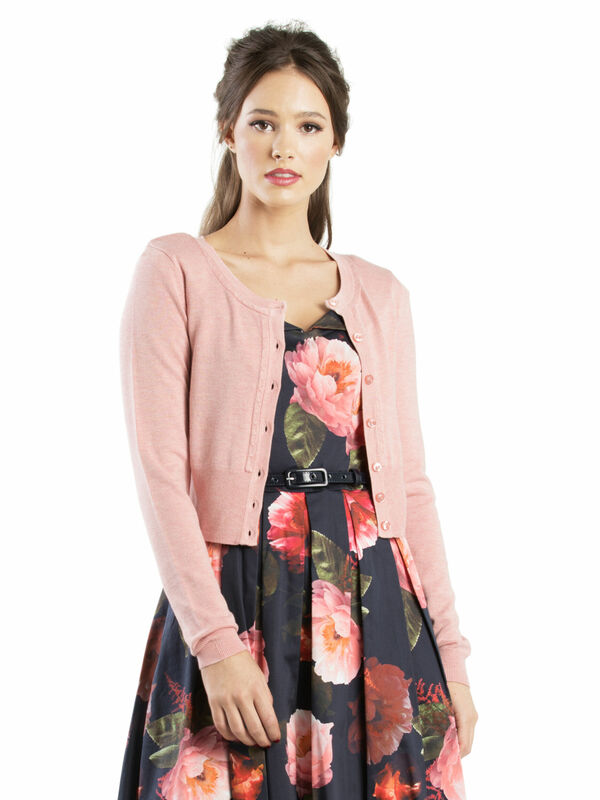 I highly recommend this cardigan for comfort, quality and colour! Rated 4 out of 5 by anastasiastarz from A classic in a lovely color. Finally we've got a purple cardi (not lavender) can't wait to see one a bit darker too. Loving Review's cardis, though being 5" the sleeves are always too long for me, we need this with a shorter sleeve. Quality is good, but not value for money as it does pill just after a couple wears. Rated 5 out of 5 by Aprilrose from Stunning colour! I am so in love with the colour of this Chessie! It is such a bright and vibrant shade of purple. 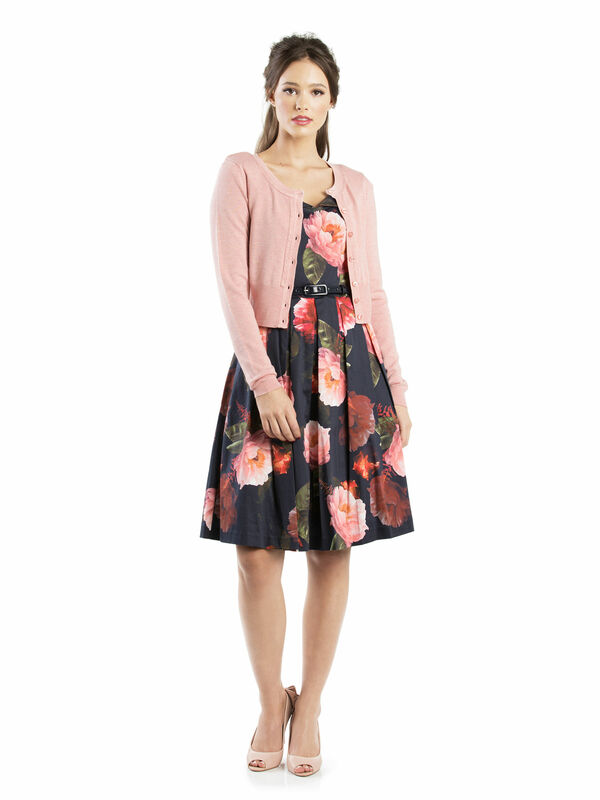 I am between a size 12 and 14, but I always go up to the 14 for cardigans as I prefer them a bit roomier. This time has been no exception, it fits me just perfectly.